Supplies: studs, three 30 inch strips of fabrics, lace, leather, etc. Pantry Supplies: Scissors, jewelry pliers. 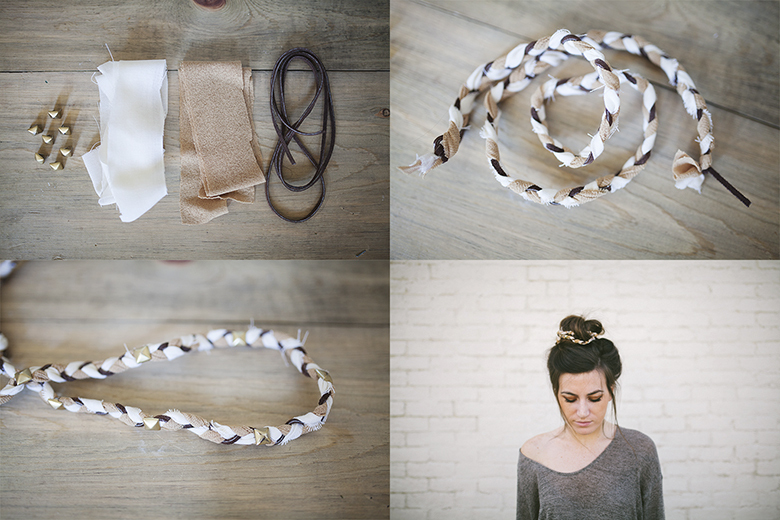 Begin with your materials, braiding them into a long cord. Tie the ends securely with the end of one strip. Next, apply studs throughout. Once you've finished the wrap, begin to attach it to your bun by tucking one end underneath the bun into the pony tail holder, and wrap around twice. 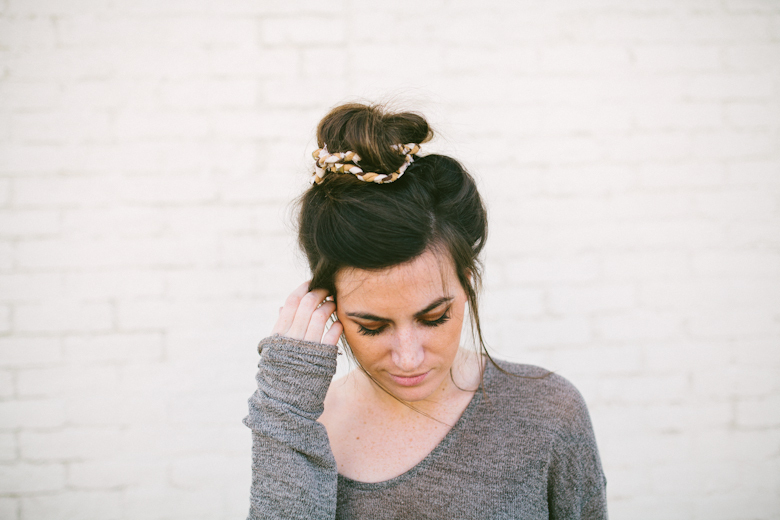 I intertwined mine through the bun to give it a messier look, but for a cleaner look, wrap it around the outside only. 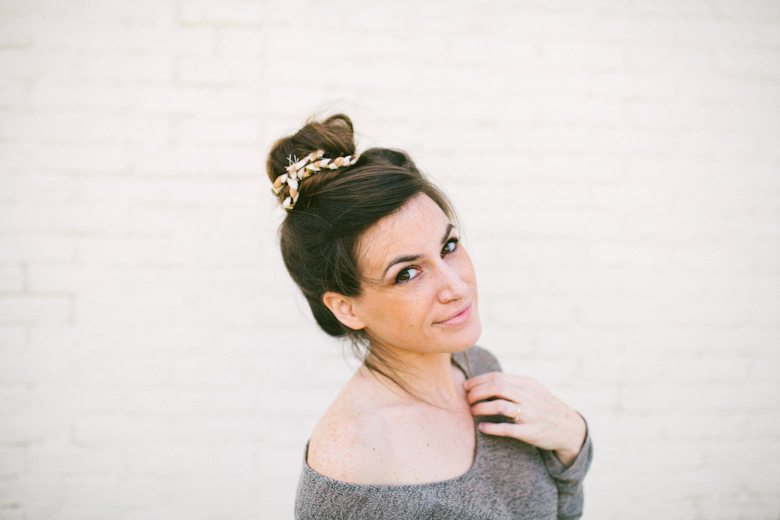 Finish off the other end by tucking it under the bun into the ponytail holder. So pretty! This makes me want to have long hair again. Mine always falls out of a bun now. What a fun hair accessory! This is cute. I think it would be neat to have one that's made of a pliable wire so you can just wrap your hair up with it and not even need a ponytail. That is what I thought too, I even thought like a pipe cleaner or something that is soft but bends easy! Make it!! LOL Post a photo!!! I love this idea! I'm going to try it soon. so cute. you are MORE than welcome to come over & style me every single morning. Perfect way to make a simple bun more interesting! Love this! Such a creative and unique take on a classic look! I made something similar a few years ago but I used electrical wire so it could easily be bended and fed through my bun in whatever way I wanted. I then covered the soft wire with leather and fabric. this is going on my to do list! i think another great addition to it would be to use wire inside of it so you are able to mold your top knot with it and keep it in place as well. I absolutely love this! It makes me even more excited for warm weather and summer hair than I already was! I can't wait to be able to do this when my hair is long again. Just love it! 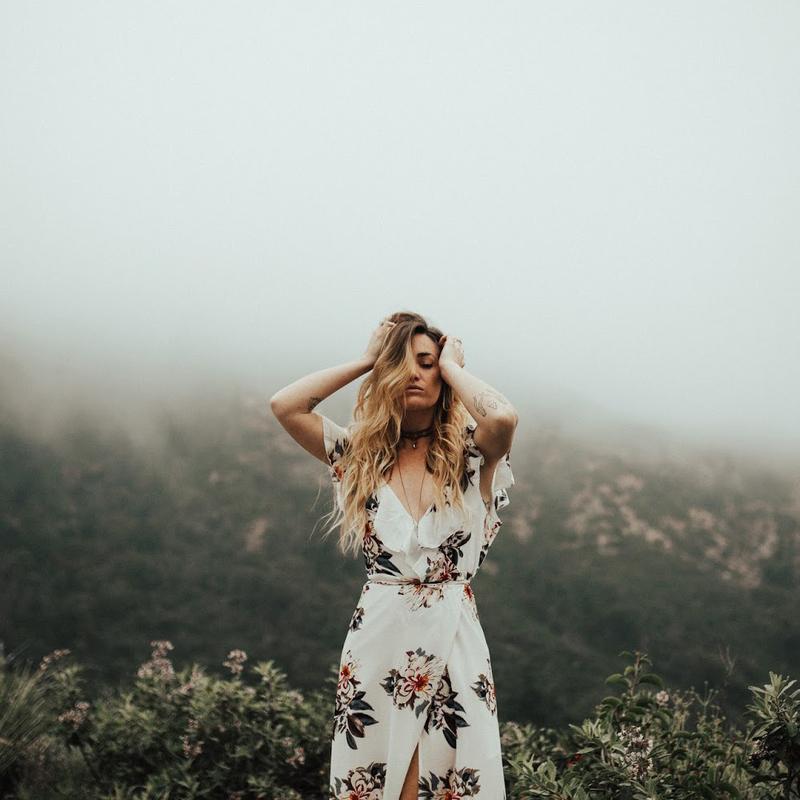 Such a gorgeous diy project , love how it looks on you . I don't wear my hair up, but I think those would be so cute as sort of rugged bracelets! Love it! So creative and lovely. I love the look, so effortless and beautiful! This is very cute. Thanks for the tutorial. My hair is finally long enough to try this style. Lovely post. love this! looks so pretty!! this is lovely. I love your shirt too! Where did you get it? what a cute idea! your bun is perfect. totally need to try this! 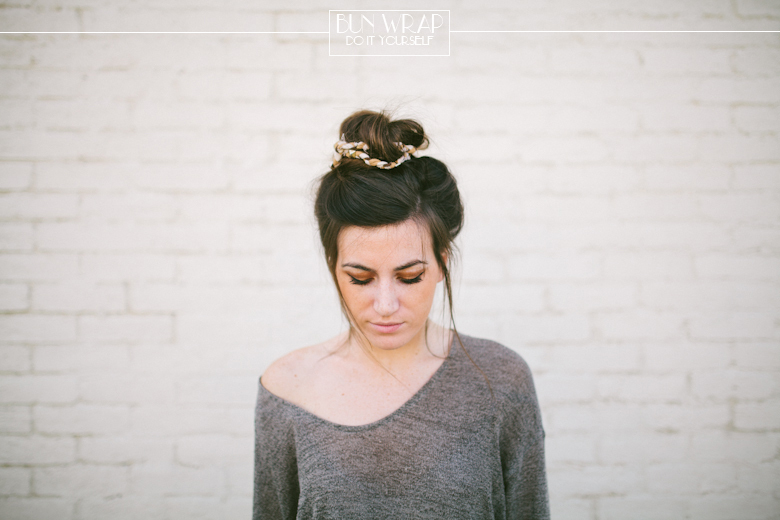 and kinsey-dear, you're bun is like the perfect image of what a casual, messy bun should look like. I usually do bows but this is a cute idea for variety! Thanks for sharing! so pretty! i can never get my buns right!! Love it so cute. I have 2 girls and I'm always looking for ideas like this. Thanks for sharing. 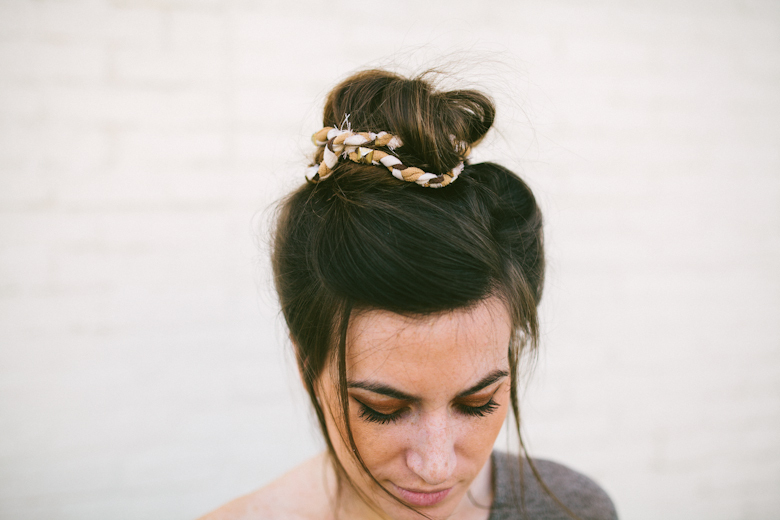 This DIY Hair Accessory is so cute. I love it!